The Genesis contest is for completed manuscripts by writers who are unpublished as novelists. 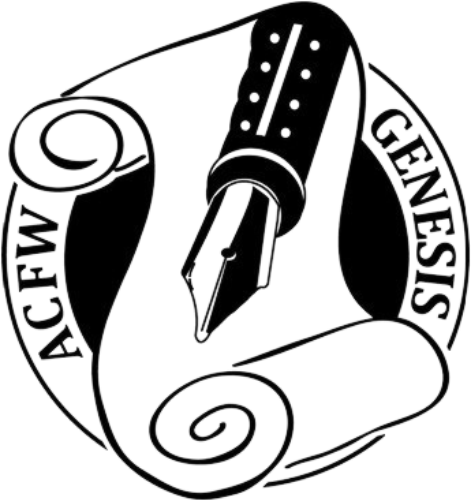 For the full rules, see http://www.acfw.com/genesis. Mentor of the Year: Nominations for ACFW’s Mentor of the Year are now being accepted. Go to www.acfw.com and log in with your user name and password. You’ll be taken to the member home page, where you’ll see the link. Deadline: February 28. On February 20 at 8 p.m. Eastern, Henry McLaughlin will present an ACFW webinar: The Voice in Your Head: Just Because You’re Hearing Voices Doesn’t Mean You’re Not Normal.